I would definitely clean the blade connectors (both M and F) connecting to the Ducati rectifier/voltage regulator, put dielectric grease on the lugs, and make sure the blades slide on and grip nice and tight. 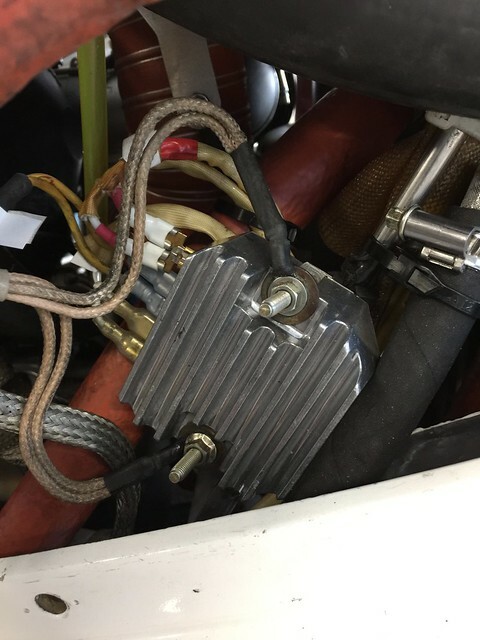 Also made sure you have a good heavy ground wire between the regulator and the engine itself (or maybe directly to the battery negative terminal). Grounding through the firewall might not be good enough. A ring lug on one of the regulator mounting bolts would be better. It looks like you’re zeroing in on the problem. Those voltmeter readings seem to indicate to me a healthy charging system. The difference between the cigarette lighter and the voltage to the battery does not seem out of line for voltage drop in the wires running to the cigarette lighter. So, you have 14v+ going to the battery in flight, but it’s not holding that charge. Sounds like a bad battery, or possibly wonky battery connections/ground. I think I recommended it early on, but trying a new battery or one of known condition would seem to be the next logical step. I have an Odyssey PC680 you’d be welcome to try, but by the time it shipped back and forth it might make more sense to buy a new one. Have you said how old the existing battery is? Most auto shops would be happy to load test it for you. As Paul stated pull the connector on the regulator and go over each one very thoroughly. Do you have the warning lamp wired to your voltage regulator? Terminal L. Mine is wired to a LED on my panel and will illuminate and warn me if it ever stops charging. Clean and tighten all connectors and use dielectric grease when you push it back on. To test your generator itself you can remove the two wires on the G terminals and check the resistance between them with a volt/ohm meter. You should get between .1 to .8 ohms. They should read "open" when either is referenced to ground meaning no connection to ground. With the engine running and the wires still disconnected you should see about 15-20 volts AC at idle and about 30-40 volts AC at higher rpm's. These are the standard readings for the generator, if you dont get these numbers it could be bad or going bad. When you reconnect the wires to the G terminals it doesn't matter which one goes to which terminal. Also, test the resistance between the body of the voltage regulator and the battery negative, you want this to be zero or damn close to it. With the master on test that you have 12-13 volts DC between B+ and ground and the same voltage for R and ground and C and ground. With the master off you should see 0 volts for all three. This is just a basic test for the voltage regulator. Last edited by ShawnM on Wed Jan 23, 2019 9:03 am, edited 1 time in total. FastEddieB wrote: It looks like you’re zeroing in on the problem. That post with the "dueling" voltmeters was posted by another user. Those are good numbers. I am curious what sort of amp load you are drawing through all of this??? Expect to see 'high' amp loading after start, tapering off as the battery is recharged. 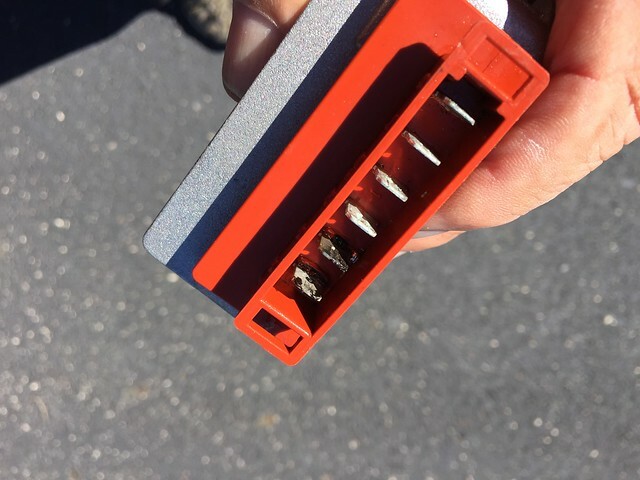 REMOS recommends you replace the blade connectors with soldered connections. They also recommend replacing the Ducati VR with a SCHICKE voltage regulator GR6. See REMOS SB-013. Also, make sure your ground terminal on the firewall is cleaned up. It's a chore and requires hands inside the cabin and forward of the firewall to do it. It’s been hypothesized that the spade lugs do not fully seat, as can be seen from the wear pattern. That gives less surface area in contact, which can lead to overheating. Happened to me several times. Since installing a $30 John Deere voltage regulator and getting rid of the multi-pin connector, I’ve had rock solid 14v output and no issues. Of course, only an option for E-LSA’s.